GB and I Vagliano Trophy team selection Gemma Clews (Delamere Forest) has a two-stroke lead at the end of the first round of the prestigious amateur women's tournament, the 54-hole St Rule Trophy, over the New Course, St Andrews. 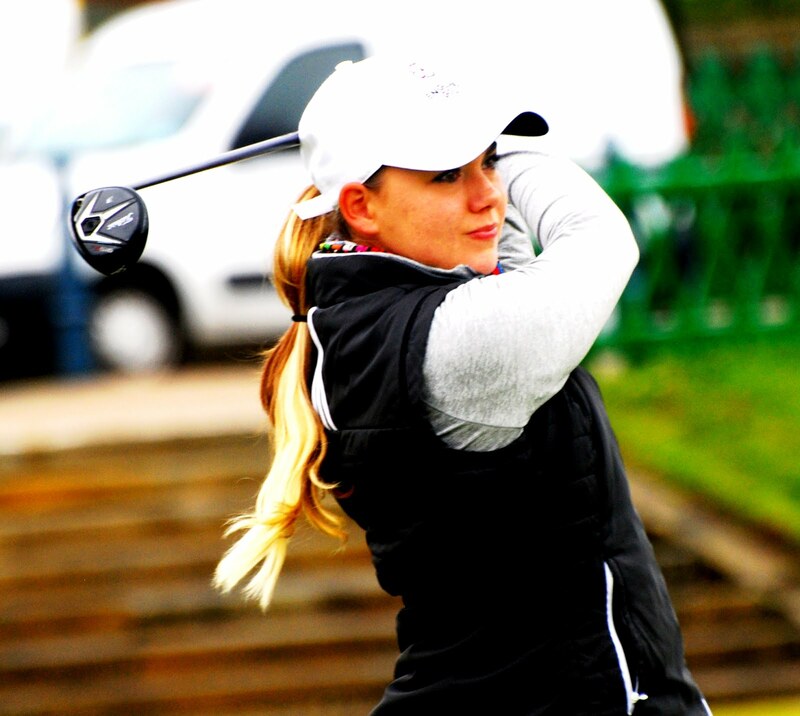 Gemma, winner of the Welsh women's open stroke-play title by five strokes last month, looked as if she would spreadeagle the field again when she posted an early round of 10-under-par 65. But former Scottish champion Clara Young (North Berwick) reduced the English player's lead to two shots with a 67. Montana Strauss (Australia) and local player Chloe Goadby (St Regulus) shared third place on 68. The second round is also over the New Course but the third and final round on Sunday is over the St Andrews Old Course. ST RULE TROPHY 54-hole tournament. First two rounds on St Andrews New Course. Third round (final) on Old Course. 65 G Clews (Delamere Forest). 67 C Young (North Berwick). 68 M Strauss (Australia), C Goadby (St Regulus Ladies). 69 O Kline (Australia), D Sverdloff (Orsett), R Morris (Woodsome Hall). 71 S Lamb (Clitheroe), I Clyburn (Woodhall Spa), D Russell (Australia). 72 E Briggs (Kilmacolm), N Slater (Woodsome Hall). 73 H Morgan (Hallamshire), T Mactaggart (Minto), O Winning (Rotherham), C Casey (Hermitage), G Coughlin (St Annes Old Links), J Saxton (Muckhart), L Bailey (Kirby Muxloe). 74 E Goodall (Selby), R Kay (Australia), L Downs (Romanby), S Burke (Ballinrobe), I Wardle (Prestbury), S McWilliam (Aboyne). 76 J Mackintosh (Hazlehead), K Gillum (Lilleshall Hall), E Berlin (Sweden), K Beveridge (Aboyne), M Wood (Woodsome Hall), T Hughes (USA), L Brunt (Royal Birkdale). 77 H MacGarvie (Troon Ladies), B Bayles (Bishop Auckland), J Bailey (Kirby Muxloe), E Healey (West Lancs), G Batty (Moffat), B Garton (Royal Lytham). 78 O Jackson (Pannal), G Paton (Royal Montrose), E Smith (Australia). 79 E Slater (Gog Magog), P Grant (Lisburn), C Whitehead (Kendal), K Andrew (Clitheroe). 80 M Doyle (The Heath). 82 E Hale (Troon Ladies).83 G Price (Bude and N Cornwall), A O'Connor (Sundridge Park).